Twice as many paddles means twice as many striking combinations possible! 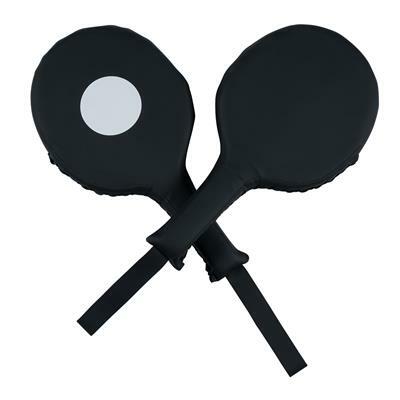 This pair of small, handheld paddle targets are perfect for developing striking accuracy during partner training drills. They’re made of durable polyurethane to stand up to training use. Product can be customized, contact your Century Customs Account Representative for more information.